​Champion Fence Staining provides quality staining service for Frisco and the entire Dallas Metroplex. We provide fence staining, deck staining, garage door staining, pergola staining, playscape staining, and shutters staining. Champion Fence Staining is Frisco’s best fence and wood staining company. We provide our customers with the highest quality of workmanship and most excellent customer service. ​As a leader in the fence staining industry, we use only the highest quality wood staining brands such as Cabot wood stain, Ready Seal wood stain, and Olympic wood stain. Not only do we use amazing brands, but we also only use top-of-the-line equipment to get the job done right every time. We are a dedicated to providing the best staining services and our goal is always 100% customer satisfaction. Proper staining is an important maintenance item to keep your fence or other wooden features protected from the elements. As with any other type of maintenance on your home, proper staining will save you the homeowner the cost of replacement in the long run. In the hot Texas weather that we get here in Frisco, we recommended staining your wood fence every 3-5 years. Unprotected wood can become susceptible to mold and mildew which decreases the life of the fence. Our work is always completed in a timely manner, with neatness and efficiency, paying special attention to detail. Having a wood fence around your property is both beautiful and highly desirable. Your fence is also a big investment for you as the homeowners but one that is well worth the money. Your beautiful fence provides both privacy and security. 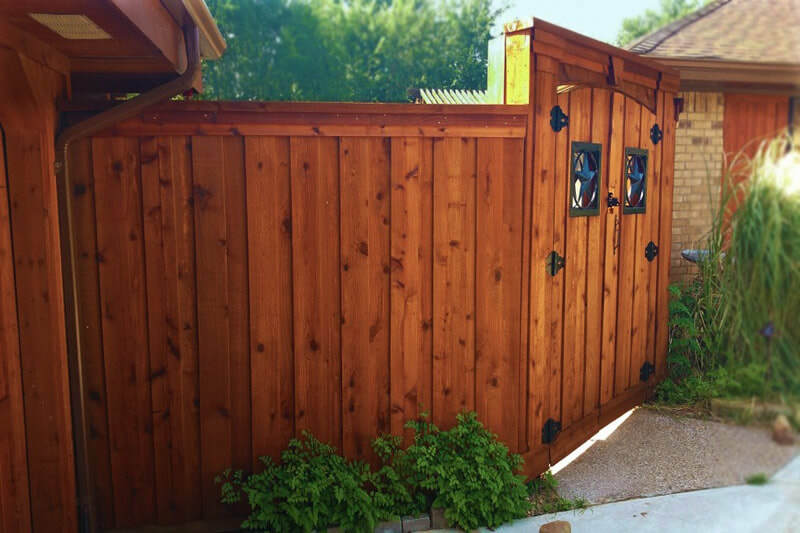 Since your fence is a huge investment, it needs to be maintained by Champion Fence Staining because the harsh North Texas weather exposure will cause the wood to warp, crack, decay and grey if not properly protected. A new fence should be painted, stained or sealed as soon as possible to prevent damage and an old fence can be brought to life with a proper cleaning and a fresh coat of paint or stain. Fence staining makes your fence look awesome. Staining is also a great maintenance option to help prolong the life of your fence and add value to your home. Fence staining prevents mold buildup and helps shield the wood from harmful UV rays which can shorten the life of the fence. 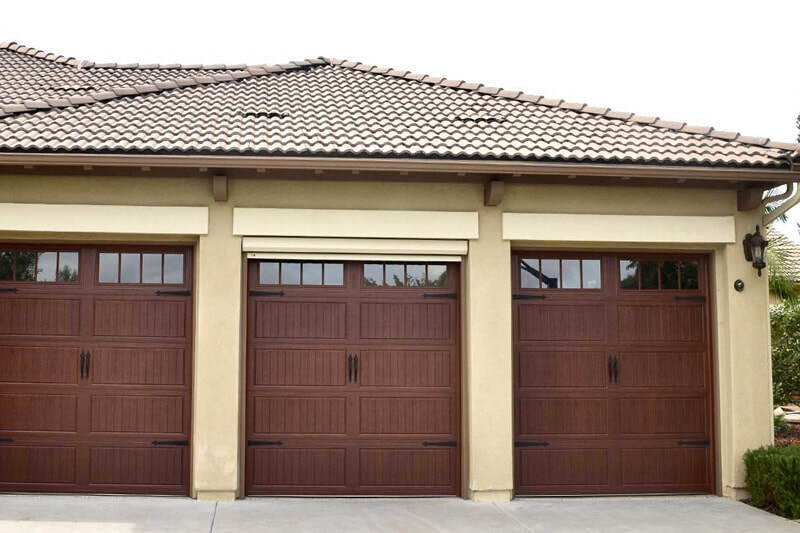 A stained garage door gives your home a very luxurious curb appeal. Staining your wood garage doors is important as it can protect your doors from the weather, and other elements while also bringing out their amazing beauty. 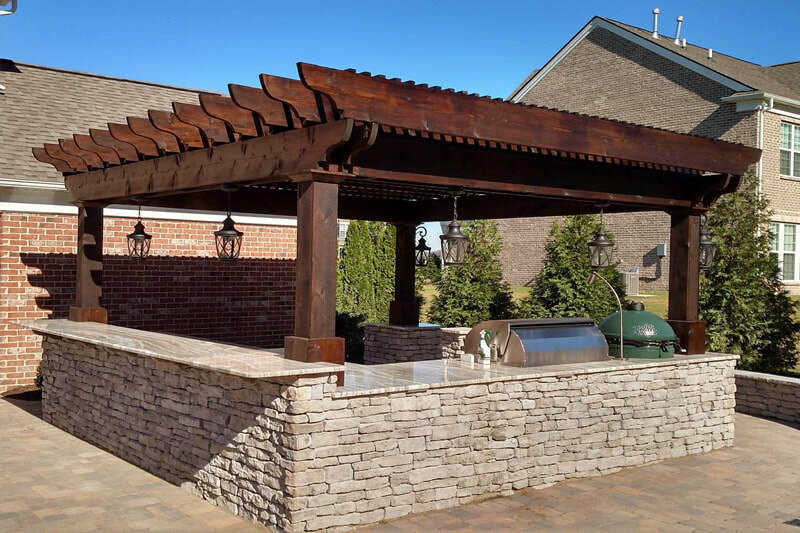 Pergola staining offers great protection for your already beautiful investment. Wood Stain protects against all types of weathering which will cause wood decay. When you add pergola stain, it will help to increase the life of the structure. A Wood deck adds a nice added value to your home, and when it looks great it adds additional luxury for outdoor living. 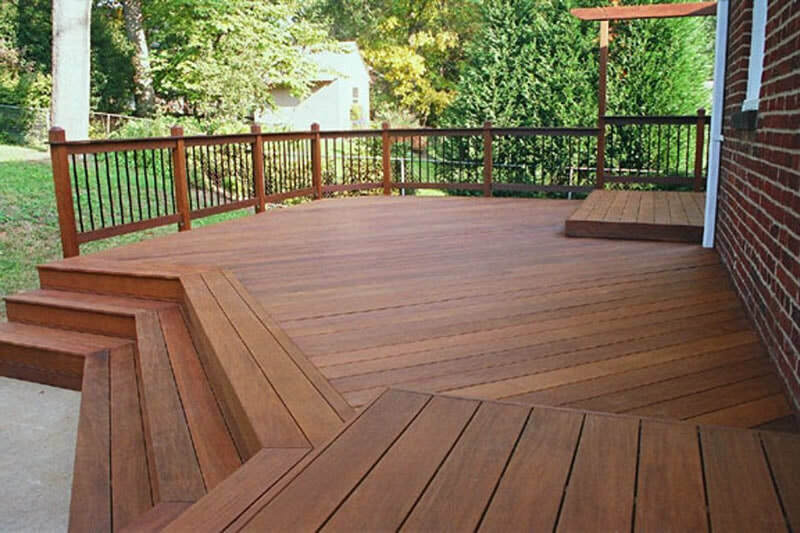 Wood deck staining provides great protection against mold and mildew which can lead to rotting wood. Wood shutters on homes can give a nice uniqueness and improve its appearance. 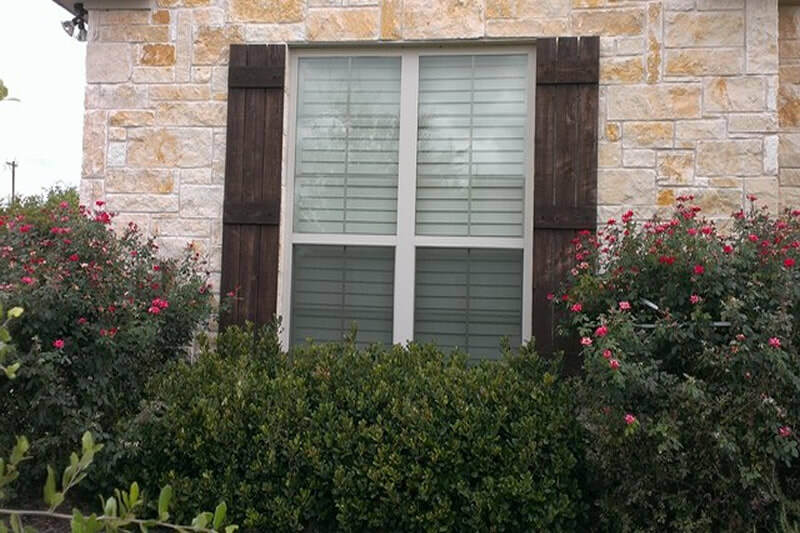 Like any wood products, wooden shutters are susceptible to weathering and will age over time. Staining shutters protect the wood from decay and helps to increase their lifespan. A wood playscape is a great investment for children that can be enjoyed for many generations if properly cared for. 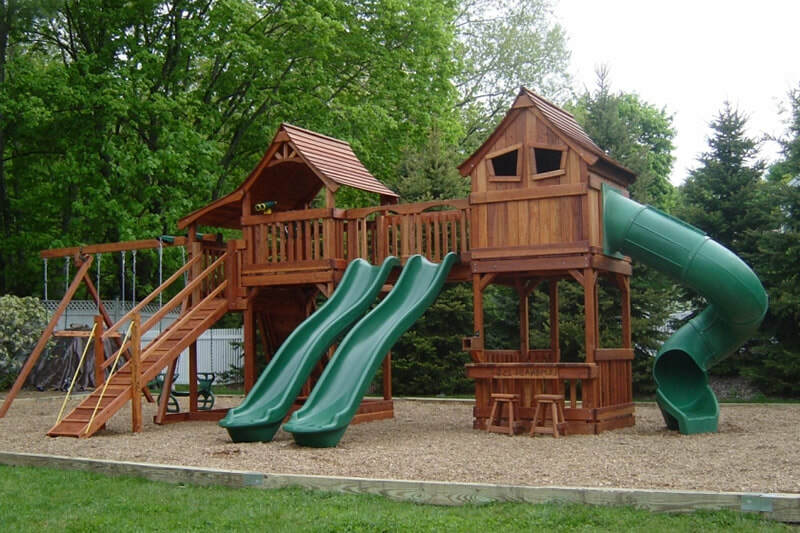 Wood playset stain protects against rotting wood which if not protected can lead to insect problems and structural integrity issues. ​We offer very competitive rates, and we look forward to providing you with a free quote. We professionally clean, and stain your fence at the most competitive prices in the Metroplex. Depending on the age and condition of your wooden structure, will determine how much prep work needs to go into making sure it is sealed properly. Once we come out and take a look at your project, we will be able to provide you with an excellent quote. Addison, Allen, Carrollton, Celina, Coppell, Dallas, Frisco, Ft. Worth, Lewisville, Little Elm, McKinney, Plano, Prosper, The Colony, and Surrounding areas.